subject March 3, 2014 Two whale shark, great! One of them swam on surface for long time ( Almost 1 hour) with opening his huge mouth. So great and wonderful sightseeing. The fisher man told me that water is like plankton soup, they caught many fish and tuna small squid since last week. The whale shark follow this food and they eating huge of plankton and small fish and small squid. 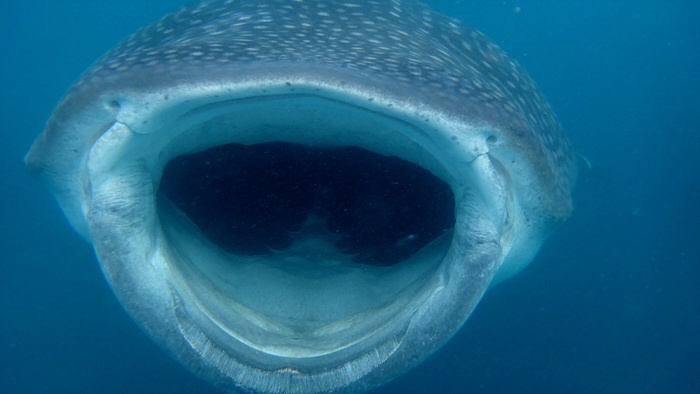 We could see a huge mouth of whale shark which is open.